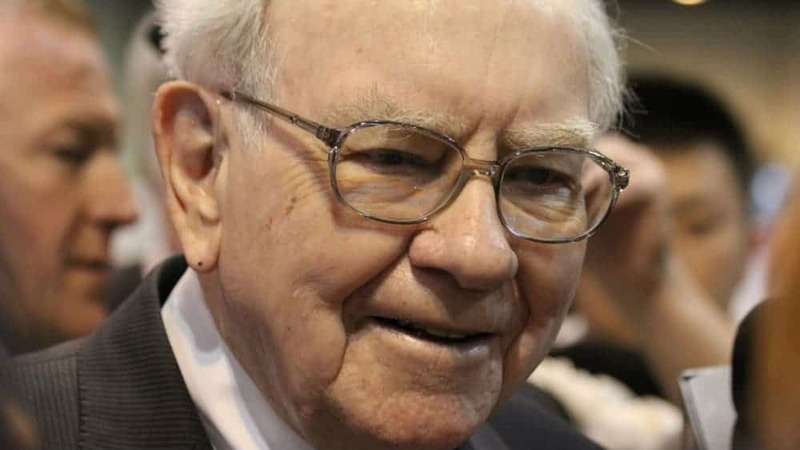 The Motley Fool Canada » Investing » What’s Warren Buffett Doing As the Markets Tank? What’s Warren Buffett Doing As the Markets Tank? If you’ve been following the recent buys made public in Warren Buffett’s 13F filing, you’ve probably noticed that he’s made some horrendous bets. He bit on a rotten Apple, which has been nosediving in recent months and made some pretty awful big bank bets that have recently gone into freefall. Not only were Buffett’s recent bets abysmal, but they were poorly timed as the markets proceeded to fall off a cliff, with many of his holdings leading the way lower. If you followed Buffett, you got burned, and while the Oracle of Omaha looks foolish (that’s a lower-case “f”) right about now, you can be sure that he’s not hitting the panic button. And in 3, 5, 10, and 20 years from now, he’ll look like a genius in retrospect because you can be sure that he’s got plenty more cash to put to work should the markets continue to falter. Eventually, we will hit a market bottom, the markets will bounce, and Buffett will make a killing, as he always does, by enduring short-term pain for what will be tremendous long-term gain. It’s the formula that made him richer in the last recession, and it’s this same game plan that he’s standing by for future recessions. You’re probably not going to hear Buffett selling his recently soured positions he took on from his last 13F filing. If you’re a gambler, I’d say there’s a pretty good chance that he’s doubled down on his recent bets now that they’ve become cheaper! You see, Buffett doesn’t know how to time the market. He doesn’t even try. What he does do, however, is tilt the odds in his favour by considering where we’re at in the market cycle and a strong understanding of the macroeconomic trends at play. More important, Buffett’s all about scavenging for deep value with an extremely long-term mindset, and as the S&P 500 moves into a bear market, you can be sure he’s not hitting the panic button, as he’s seen way worse in his day! Buffett recently announced that Berkshire Hathaway had ditched its investment in Home Capital Group (TSX:HCG), taking home a nice profit just over a year and a half after bailing out the struggling mortgage lender that was in crisis. Home Capital Group stock responded by tanking by double-digit percentage point drop, and although investors may think Buffett is panic-selling before the markets get worse, investors should know that Buffett is likely just raising cash for the other incredible bargains that have opened up in recent months. Buffett and company helped Home Capital Group get back on its own two feet, and since the stock was one of the few names that went up in the hideous month of November, it only made sense for Buffett to consider the more favourable opportunity costs with the new cheap investment options that became available as the markets tanked. If the S&P 500 weren’t flirting with a bear market, Buffett would probably still retain his investment in Home Capital, but now that there are other likely more attractive opportunities out there, I think it’s safe to say that the Oracle of Omaha is simply raising reserves to get ready to feast on the now abundant bargains. Fool contributor Joey Frenette owns shares of Apple. David Gardner owns shares of Apple. The Motley Fool owns shares of Apple and Berkshire Hathaway (B shares) and has the following options: long January 2020 $150 calls on Apple and short January 2020 $155 calls on Apple.